The SRM PowerControl 7 takes the PC VI to the next level with a smaller, lighter design and improved battery life. The SRM PC7 now weighs just 68 grams and features a Li-polymer battery with 120 hours of battery life, 4x more than the previous version. In addition, SRM has moved the button layout to the bottom, enabling its new square shape. The SRM PC7 also features a new motion sensor, allowing it to detect the start of your ride automatically. 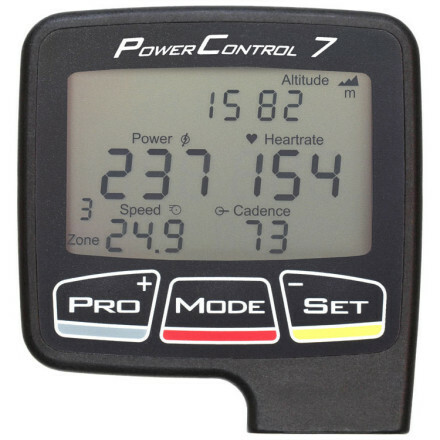 The PC7 computer is compatible with all power meters and sensors that support the ANT+ wireless protocol.